Williams Family Law, P.C. is pleased to announce that Bucks County divorce attorney Robert J. Salzer has been named a partner at the firm, effective January 2017. Holding an LL.M in Taxation, Salzer focuses his practice on financially complex, high-stakes family law matters, including divorce, alimony and spousal support, equitable distribution, child support, child custody, marital agreements, and more. He previously served as a Deputy District Attorney in the Bucks County District Attorney’s office and is an experienced trial attorney, making him a particularly effective matrimonial law and child custody litigator. Copyright © 2017 Williams Family Law, P.C. Williams Family Law, P.C. 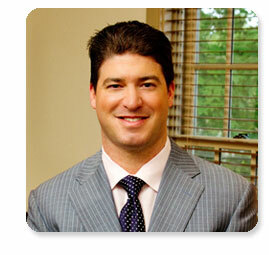 is a premier family law firm based in Bucks County, Pa. The firm provides individuals with matrimonial and family law legal counsel and representation in alimony, child support, child custody, divorce, domestic partnership and cohabitation, grandparents' custody rights, equitable distribution, marital settlement agreements, prenuptial and postnuptial agreements, separation agreements, spousal support, matrimonial taxation and related matters. The family law attorneys also provide guidance and representation in alternative dispute resolution forums, handling mediation, arbitration and custody dispute resolution. The practice at Williams Family Law centers on four core principles: experienced guidance, compassionate advice, powerful advocacy and knowledge of the local courts and counsel. The firm prides itself on leadership within the profession and a strong record of success. In some states, this correspondence may be considered attorney advertising. Transmission of this document is not intended to create, and receipt does not establish, an attorney client relationship. This newsletter is intended for informational purposes only and should not be construed as legal advice on any subject matter. The contents of the email do not necessarily represent the opinions of Williams Family Law, P.C. or its clients. If you require legal advice, you should retain competent legal counsel to advise you. If you would like to retain Williams Family Law, P.C., please contact one of our lawyers, who will be pleased to discuss how our firm can assist you. An attorney-client relationship will arise between you and our firm only if we specifically agree to act for you. Unless and until we specifically agree to act for you on a matter, you should not provide us with any confidential information or material.